Why is your Tiger such a Suspension Lemon? 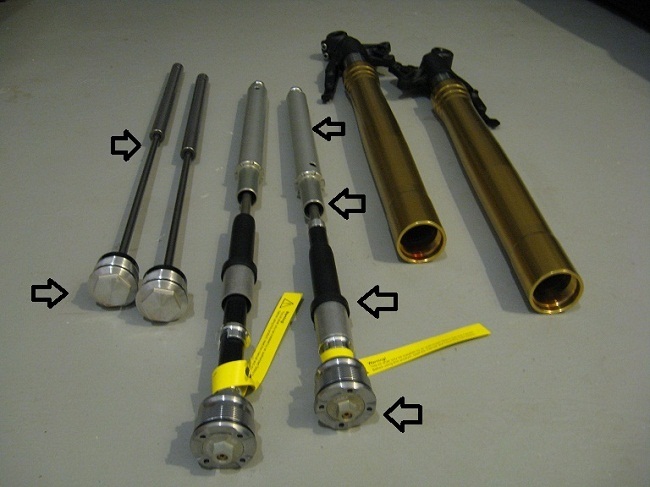 Above is the standard Tiger 800 garbage shock and stamped steel 1970’s style fork cartridge non rebuildable, non adjustable, or revalveable that looks like it came from the the “Old Soviet Union!”. See below on how sweet it can be!…. BAM!~ (total sweetness!) 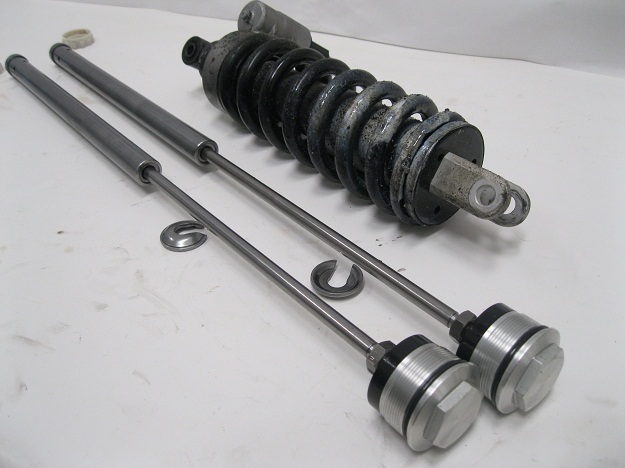 hard to beat this fully adjustable 46mm body /16mm shaft shocke with spring for a great price! 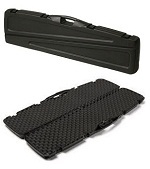 Above this Cartridge kit from Ktech has tremendous features for a great price, we met with the owners here at our shop and found the construction and details to be outstanding and have been selling them with excellent results ever since, they are very nice and very well made. 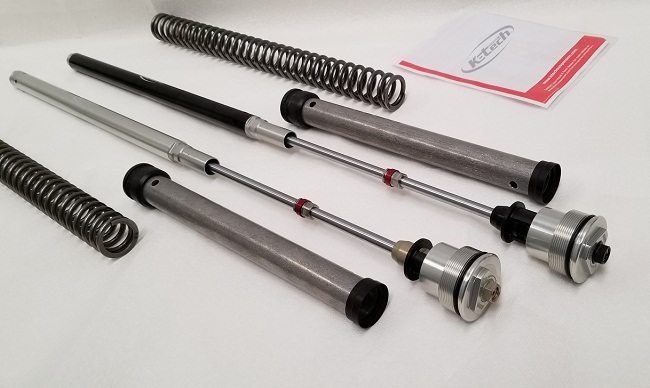 They have fully adjustable 32 click compression and 32 click rebound with adjustable spring preload caps, no machining required to do easy install and they work great!. 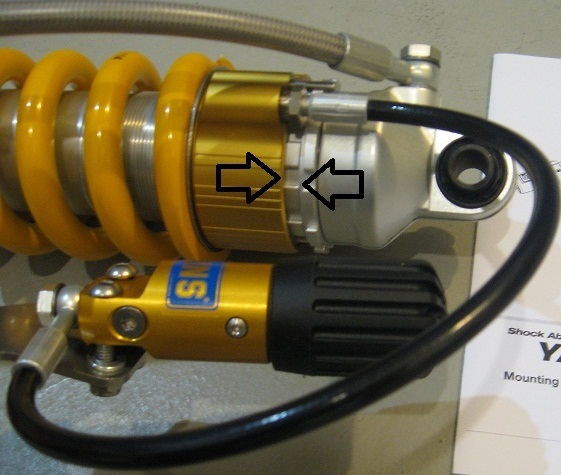 Also notice how nice the anti bottoming cone and hydraulic stop rings are made, sweet! 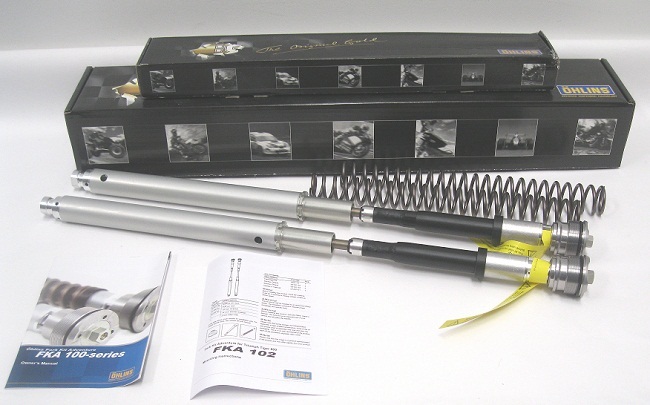 Fully Adjustable Compression, Rebound, 23 Turn Spring Remote Preloader , Heavy Duty 46mm body with 16mm shaft. 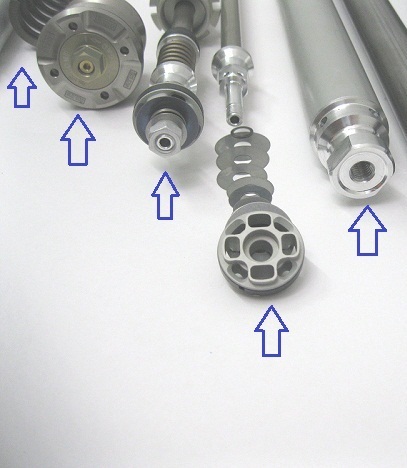 Fully External Adjustable Compression, Rebound, 18 turn Spring Preload all at top Caps. Above pic is showing the difference! 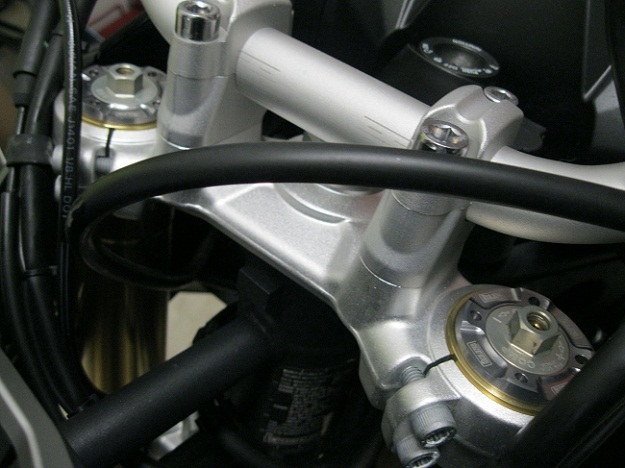 The Standard non adjustable 20mm stamped steel inserts. 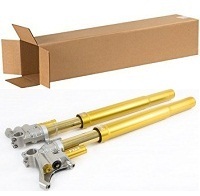 Ohlins 50% Larger 30mm piston / fully adjustable Cartridge kit. Above a closeup view of the giant 30mm piston Ohlins kit. 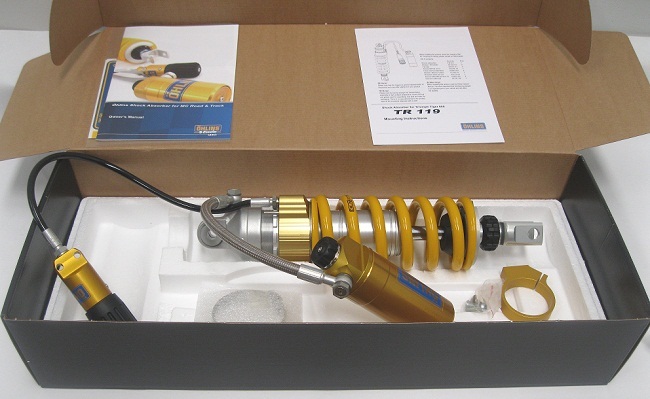 This is an example of a 23 Turn Ohlins Hydraulic Remote Spring preloader. 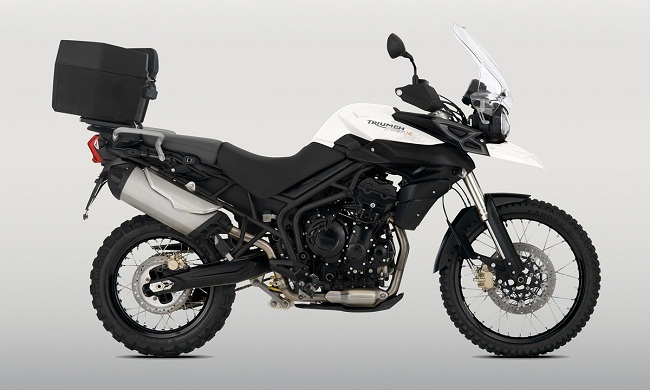 The arrows above show some movement through out their range of adding spring preload as your loading may change or riding more offroad. 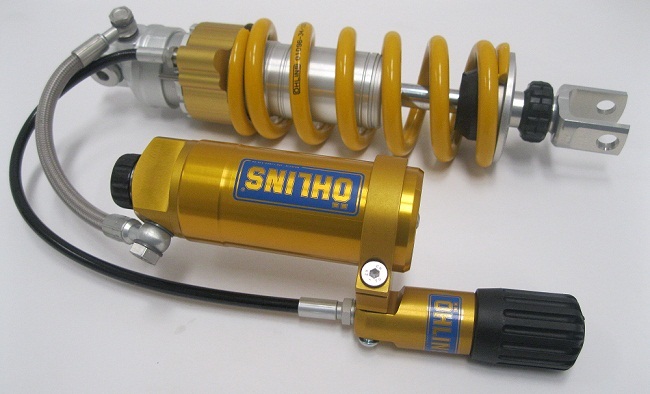 TR120 Ohlins Shock, fully adjustable Compression (about 24 clicks), Rebound (about 45 clicks) , and about 23 Turn Remote Spring Preloader. 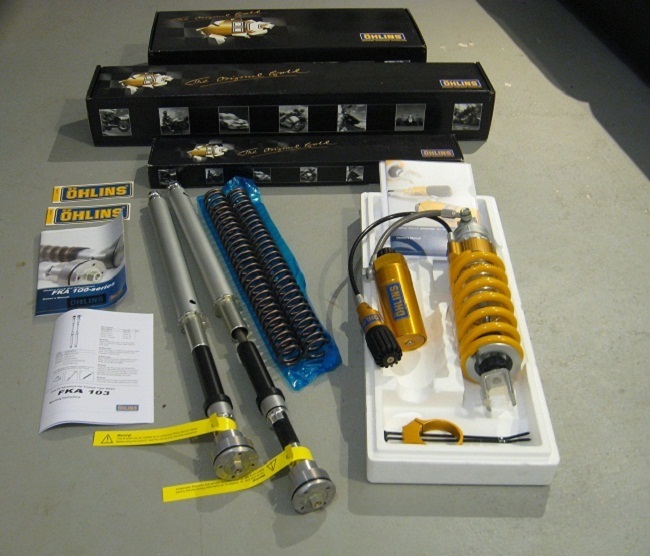 (FKC102 kit for regular 800 and TR119 Shock). 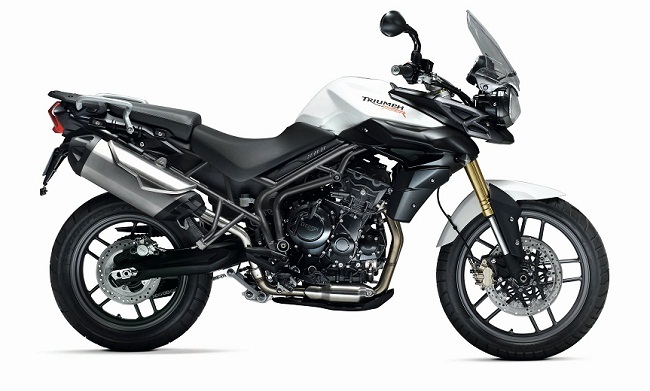 Available for Triumph Tiger 800 or the XC.